BUTUAN CITY, Mar. 14 (PIA) -- The Regional Poverty Reduction Action Team (RPRAT) together with the RPRAT implementing agencies has called upon the attention of Local Poverty Reduction Action Teams (LPRAT) of Local Government Units (LGUs) to revise, replace or modify proposed anti-poverty projects for F.Y. 2014 Bottom-up Budgeting (BuB) on March 7-8, 2013 at Dotties Place Hotel and Restaurant. The provincial coaching was based on the result of RPRAT’s thorough review and scrutiny of the proposed anti-poverty projects submitted by the LPRATs. 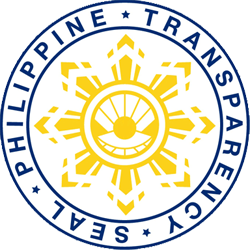 It was found out that there were some erroneous entries in the Project List and Project Briefs and some proposed projects are not within the menu of programs of the implementing agencies or cannot be proposed as BuB projects as expressly stipulated in the Joint Memorandum Circular (JMC) No. 3. In addition, some LPRATs did not conform to the prescribed percentage of LGU counterparts. DILG Caraga OIC-Asst. Regional Director Donald A. Seronay, in his message said that the Provincial Coaching will provide the venue for clarification, revision and replacement of ineligible proposed projects with the implementing agencies. The first day of the provincial coaching was intended for selected LGUs of Agusan del Norte (including the city of Butuan), Surigao del Norte and Dinagat Islands, while the second day was for the selected LGUs of Agusan del Sur and Surigao del Sur. Part of the provincial coaching was the reiteration of the salient features of JMC No. 3 discussed by DILG LGOO VI Jocelyn Jayoma, such as the correct entries of the Local Poverty Reduction Action Plan (LPRAP) and their corresponding Project Briefs, which must include the complete details of the eligible proposed projects. SURIGAO CITY, Mar. 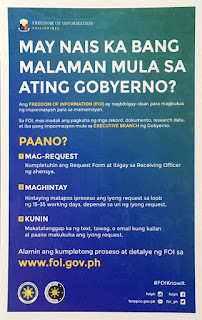 14 (PIA) -- Gipangulohan ni Presidente Aquino kagahapon ang paghurar sa bag-ong natudlo nga mga opisyales sa Kapisanan ng mga Brodkaster sa Pilipinas (KBP) didto sa Palasyo sa Malakanyang. Ang mga opisyales nga nanumpa sa ilang katungdanan atubangan sa Presidente mao sila: Foreign Affairs Undersecretary (USEC) Erlinda F. Basilio, Ambassador Extraordinary and Plenipotentiary sa Pilipinas Philippines ngadto sa People's Republic of China; Education USEC Mario A. Deriquito; Social Welfare and Development USEC Angelita Gregrorio Medel; Agrarian Reform USEC Jose Z. Grageda; Transportation and Communications USEC Catherine Jennifer Francis P. Gonzales; Science and Technology USEC Amelia P. Guevara, ug Office of Political Affairs, Office of the President USEC Tomasito S. Villarin. Lakip usab nga nanumpa sa ilang katungdanan sila Public Works and Highways Assistant Secretary (ASEC) Ardeliza R. Medenilla, Education ASEC Lorna D. Dino, Energy ASEC Daniel A. Ariaso Sr., Presidential Communications Operations Office ASEC Jess Anthony Q. Yu, Office of the Cabinet Secretary ASEC Janice F. Santos, Movie and Television Review and Classification Board (MTRCB) Chairman Eugenio H. Villareal, Presidential Commission on Good Government (PCGG) commissioner Vicente L. Gengos, Jr., National Dairy Authority Administrator Grace J. Cenas, panel chair for Talks with the Moro Islamic Liberation Front Miriam Coronel-Ferrer, Parole and Probation Administration Deputy Administrator Arturo O. Gabrieles ug si Intellectual Property Office Deputy Director-General Allan B. Gepty. Ang 2013 KBP Board of Trustees ug mga Opisyales nga nanumpa mao sila Ruperto S. Nicdao, Jr. sa Manila Broadcasting Company, Chairman; Butch S. Canoy sa Radio Mindanao Network, Vice-chairman, Herman Z. Basbaño sa Bombo Radyo Philippines, President; Rosario S. Bartolome sa ABS-CBN, Executive Vice-president; Francisco L. Cardona sa Radio Corporation of the Philippines, Vice-president for Radio; Joselito G. Yabut of Primax Broadcasting Network, Corporate Secretary; Fr. Manuel Bongayan, SVD, sa Radio Veritas Global Broadcasting System, Treasurer; Engineer Erwin V. Galang sa GV Broadcasting System/Mediascape Inc., Director; Jose M. Locsin Jr., sa the Philippine Broadcast Network, Director ug Albert Sikat sa Tamaraw Broadcasting Corporation, Director. Gihurar usab sa Presidente sila Wilhelm D. Soriano, legal counsel sa Progressive Broadcasting Corporation, napili isip Deputy Chairperson.